Taetsia terminalis (L.) W.Wight ex Saff. 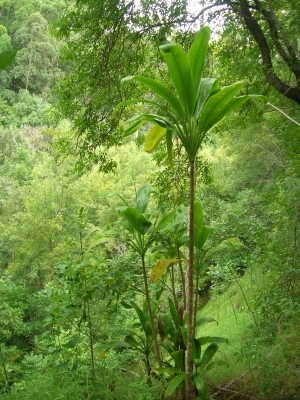 A comprehensive flora of Fiji, often showing plant uses. It can be downloaded from the Internet. E. Asia - India, Malaysia, Indo-China to Australia and the Pacific Islands. ]. Prick out the seedlings into individual pots as soon as they are large enough to handle and grow them on until they are at least 10cm tall before planting them out. Stem cuttings - cut off the main stem just below the head and then saw off 5cm thick blocks of stem and place them 3cm deep in pure peat in a shaded position. Keep them moist until they are rooting well, then pot them up into individual pots. Plant out when they are making good growth.